After the live music shows, which saw the likes of Arctic Monkeys, Them Crooked Vultures, (the reformed) Suede, The Who and The Specials, give their all for this good cause, in February, comes the photo exhibition. In association with Proud Camden Galleries, where it will be shown, The Teenage Cancer Trust presents 'Six Shooters', an exhibit which as its title implies was shot and facilitated by six major music snappers in Roger Sargent, Mick Hutson, Andy Fallon, Paul Harries, Andy Willsher and Andy Cotterill, responsible for the portraits of Paul Weller, Slipknot, Marina and the Diamonds, Dave Grohl, Ian Brown, Jay-Z, Morrissey, The Kooks, Noel Fielding, The Libertines and many more. 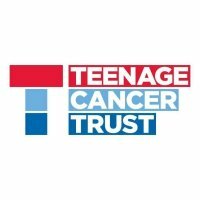 'Six Shooters' opens on 22nd July, running until 12th September, 11am to 5pm, daily, and entry is free - meaning that you will have some spare change in your pocket after viewing, so head over to www.teenagecancertrust.org to make a donation why not?